Characters change over the years. Fifty years of stories’ll do that, but sometimes, it’s not that precious character development that evolves from experiences, trauma, and joy. Sometimes it’s simply magic. 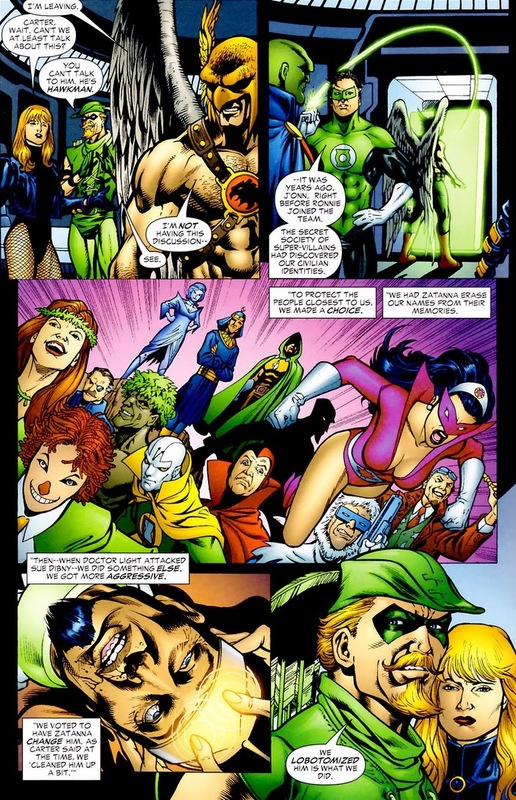 A while back, the Secret Society of Super Villains captured the Justice League and switched bodies with them, learning all their true identities and loved ones. Also, the supervillain Doctor Light sexually assaulted the wife of the Elongated Man. It was a dark time in comics. 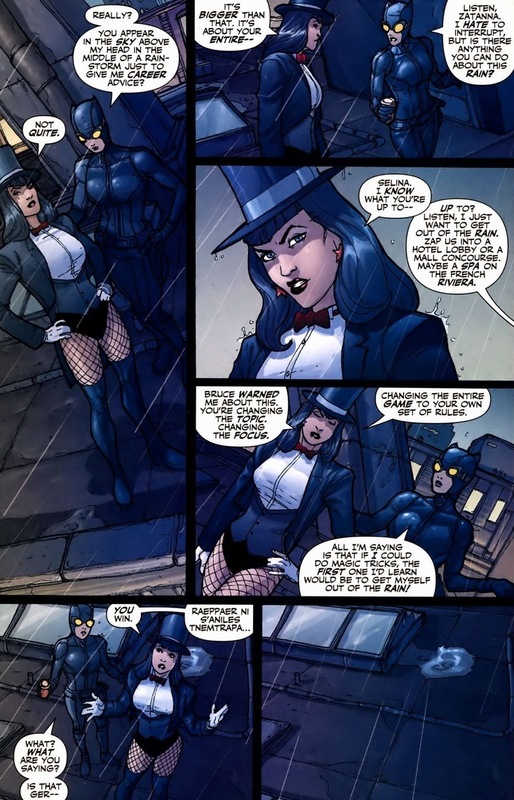 Reluctantly and with ambiguous morals, Zatanna (and with the help of some of the Justice League) used her magic to mind-wipe all the supervillains — forcing them to forget the learned secrets and radically changing Doctor Light’s personality. 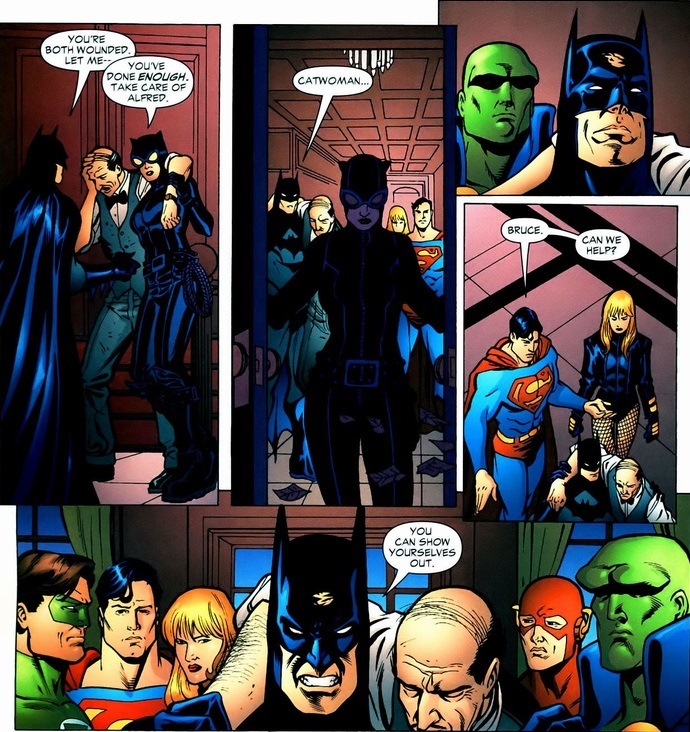 Batman attempted to stop them and they erased his memories of the incident as well. Eventually, the truth comes out. I’ve said this before: never cross any man who fights crime shirtless while wielding a medieval mace. We cut to Gotham City, where Catwoman fights the good fight. 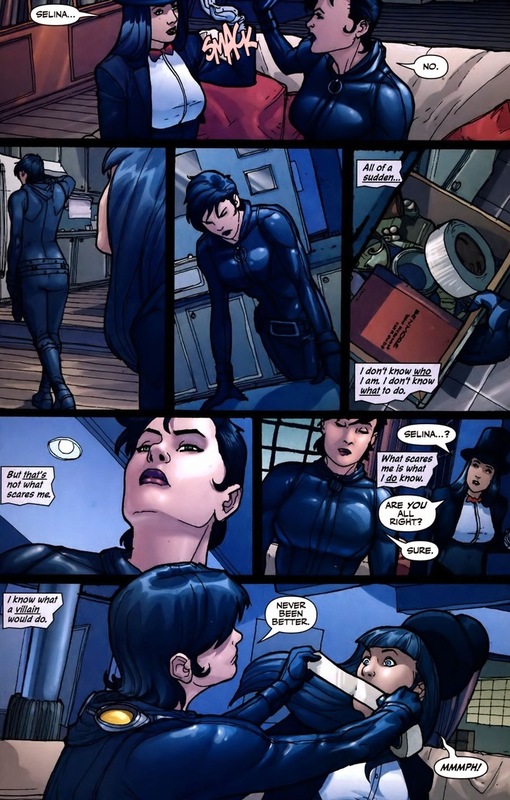 For a non-powered hero carrying only a whip, Catwoman’s surprisingly effective in cleaning up the town. 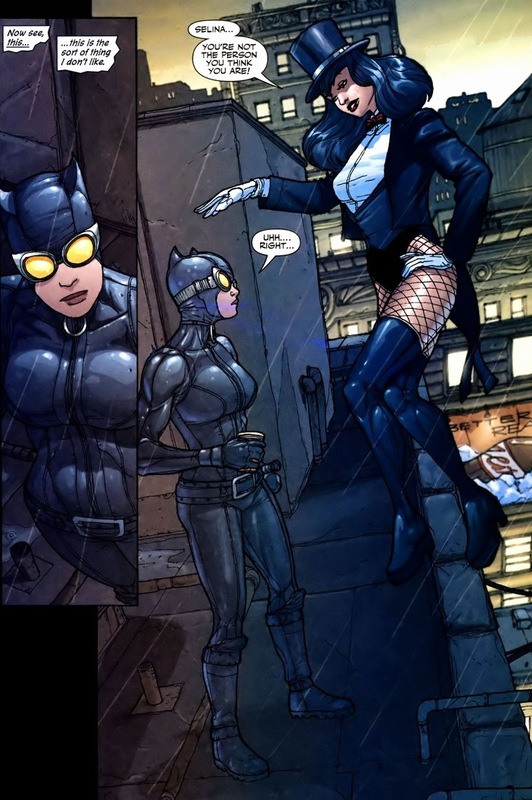 Think of her as Batman, if Batman enjoyed witty banter and sexual tension. Remember when I mentioned the Secret Society getting mind-wiped? It didn’t hold. See the problem? Besides the hordes of unconscious heroes scattered around the rooftop. The Wizard referred to Batman as Bruce. On a list of superheroes and supervillains who know Batman’s secret identity, the Wizard certainly should not be one of them. As the inevitable brawl commences, Catwoman suffers a major knife wound. Better than engulfed in a fireball, I guess. 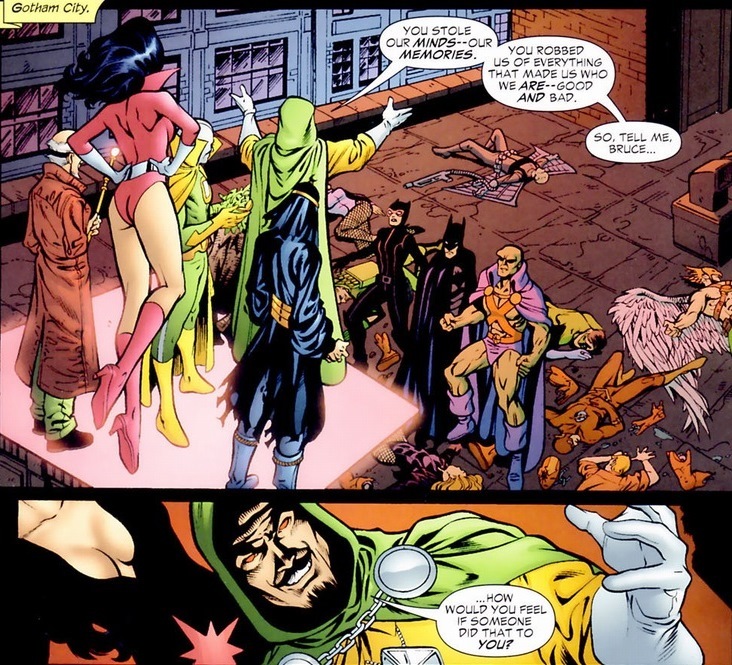 Also, and more importantly, Batman realizes both what the Justice League did to the Secret Society and himself. 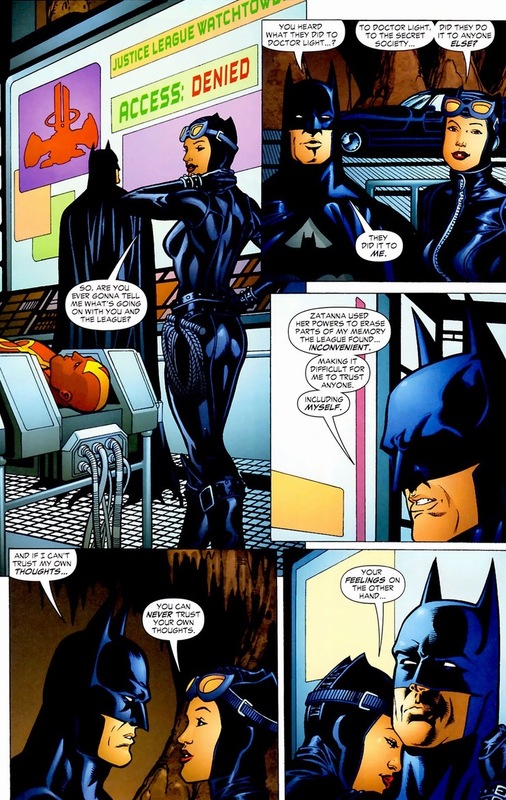 I mean, Batman’s difficult to work with when he likes and trusts his teammates. But now the Justice League’s father figure has disowned the entire brood of spandex-wearing munchkins. 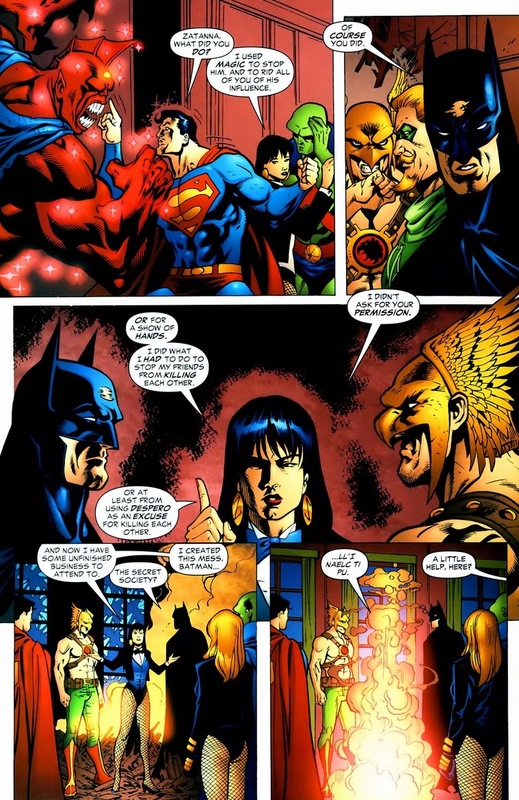 I’ve thought for a while about what makes Batman and Superman best friends. They come from radically different backgrounds, have major contrasts in superpowers, and treat both allies and enemies in vastly opposite ways. 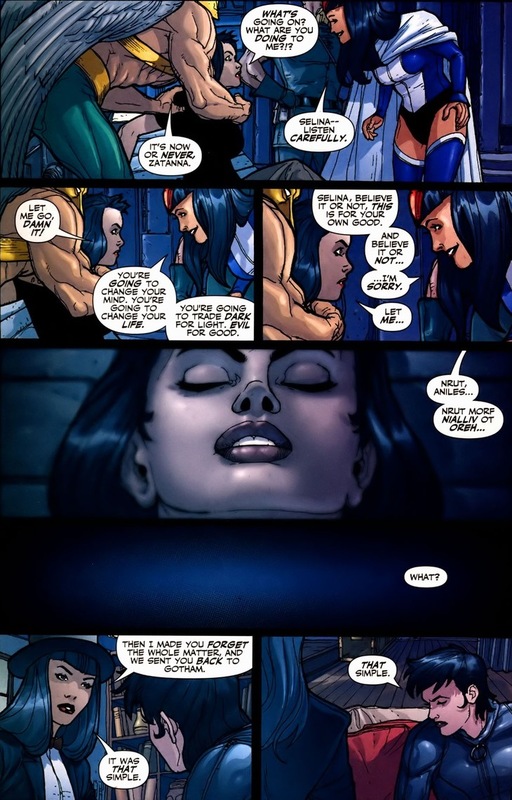 But they do have one personality trait in common that the other Justice League members don’t possess: a rigid, unchanging view on morality and right versus wrong. Yes, mind-wiping the Secret Society will certainly save the lives of the superheroes’ loved ones and other innocent bystanders, but that’s not how superheroes should act. Even if it causes deaths. And there will be deaths. To Batman and Superman (who also didn’t know about the incident), superheroes simply don’t behave in that manner and never will despite the consequences. So you can imagine why they had to mind-wipe Batman as well. The cat’s out of the bag now. Unfortunately, Batman has to clean up the horrid mess left behind by his clumsy teammates. As the fight wraps up, Batman’s anger has not subsided from all that stress-relieving punching. Spoiler alert: it wasn’t. 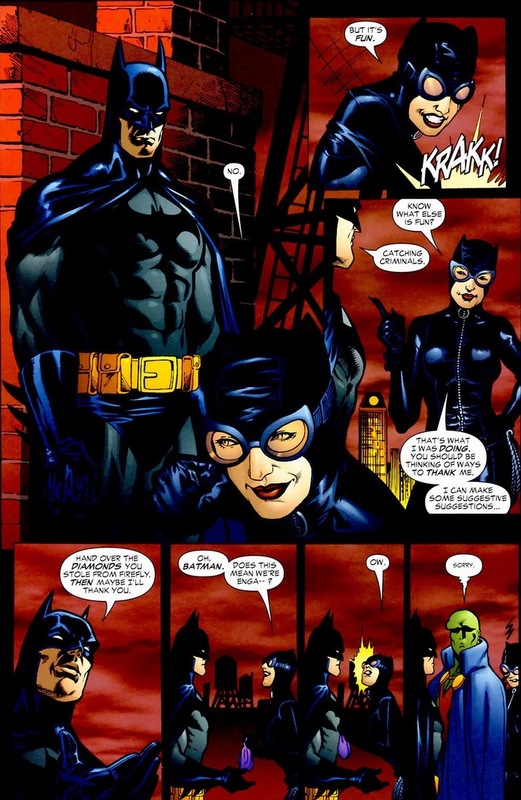 Understand that same moral rigidity prevented Batman from accepting Catwoman’s advances (who the fans overwhelmingly consider to be Batman’s soul mate — or at least as close as Batman’ll get) until she fully immersed herself in superheroism. 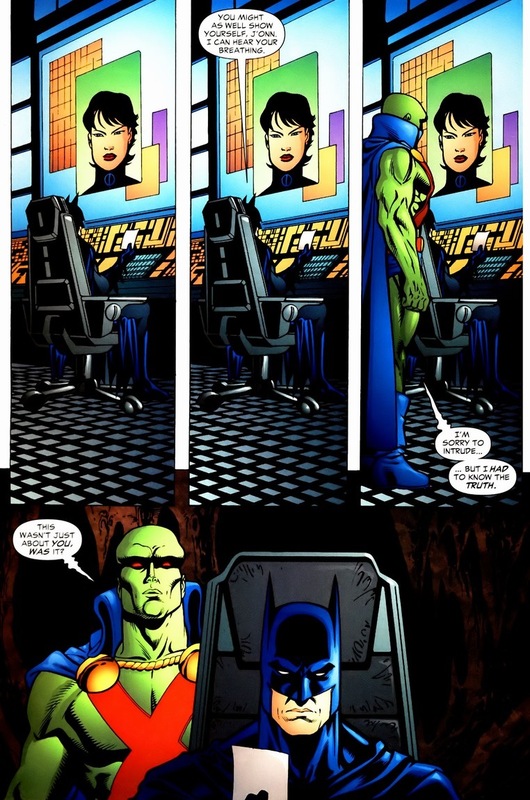 When she embraces morality over villainy, Batman’s code allowed the two to be (sorta) together. Batman’s fears are certainly justifiable. 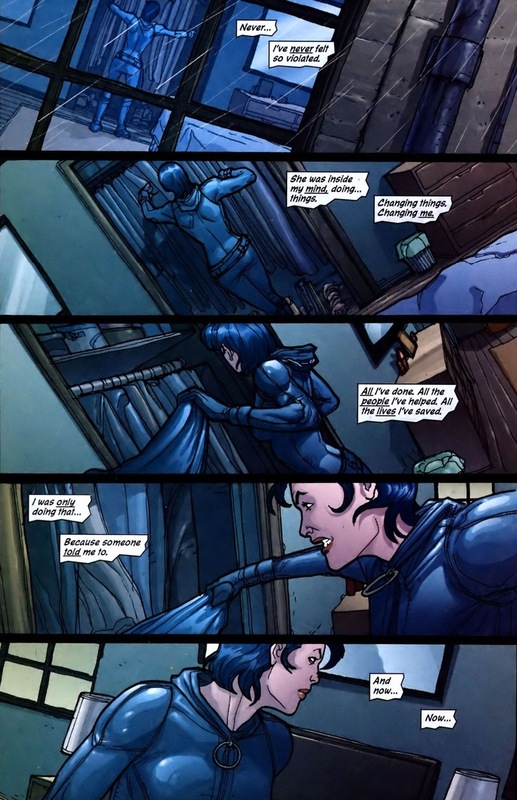 Catwoman becoming a superhero may have been the best thing to happen to her. She and Batman could now attempt a relationship. 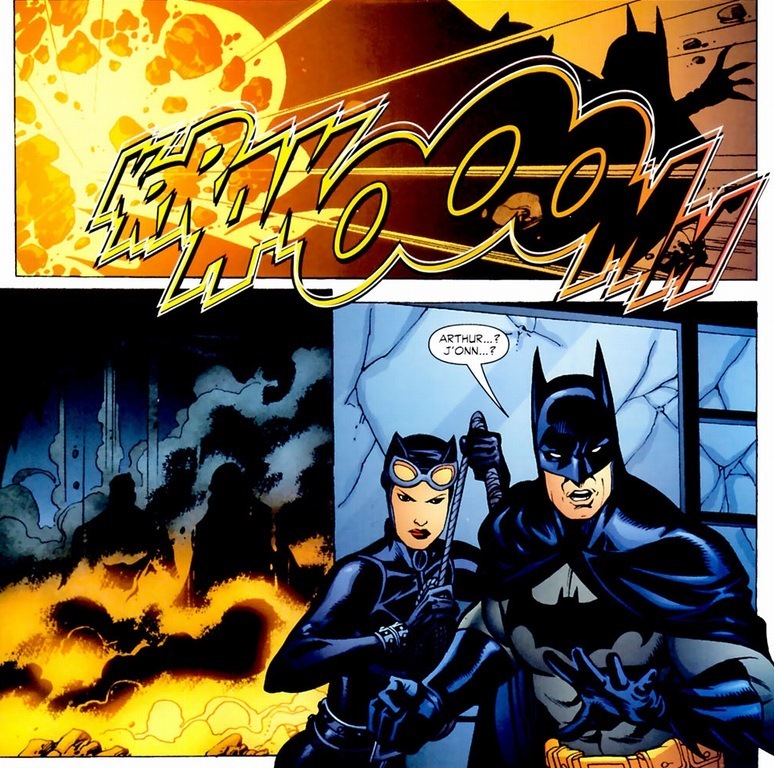 Selina didn’t have to live in fear of vigilantes or waste away her days in Arkham Asylum. 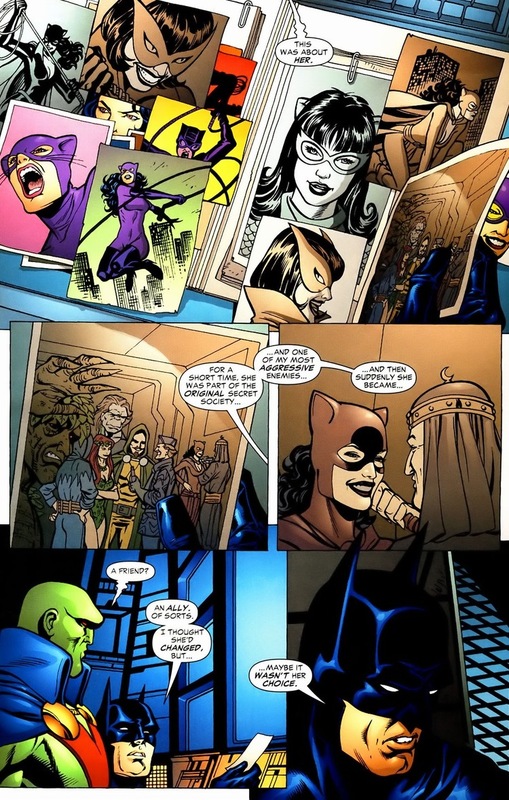 Catwoman gained the trust and support of numerous allies and friends. Her selfishness and self-loathing faded into a pride and satisfaction in making her hometown a better place. And none of it was her choice. I’m no psychologist, but the whole dressing up in costume thing reeks of identity issues. 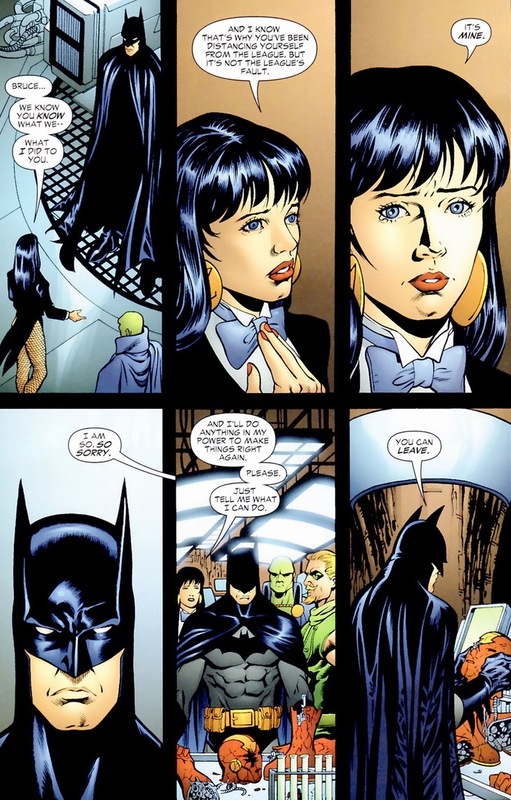 Selina hides who she really is, afraid to be vulnerable, using her mask to allow her the freedom to become a different (and better) creature. So when all her therapeutic and psychological progress — including her affections and passion for Batman — have been called into question, she reacts as you expect. Badly. 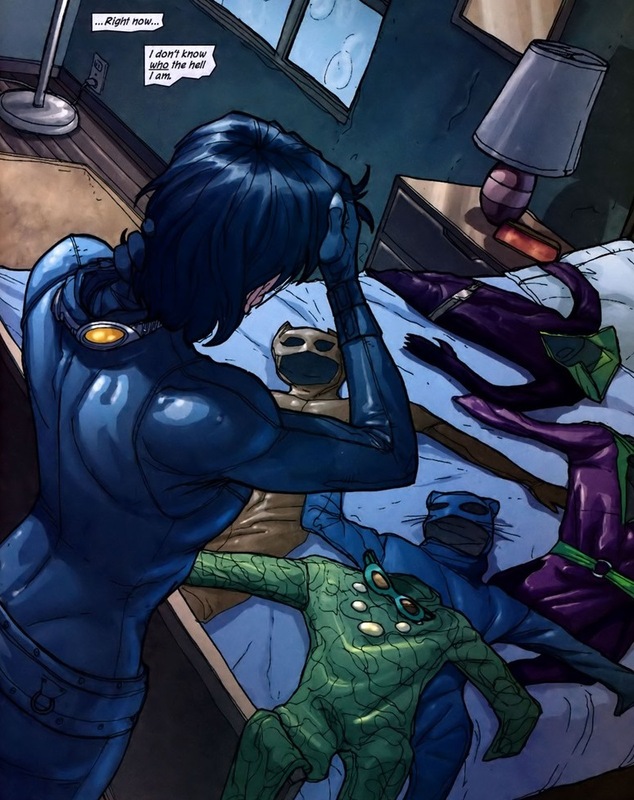 Catwoman has never been the poster child for emotional health. 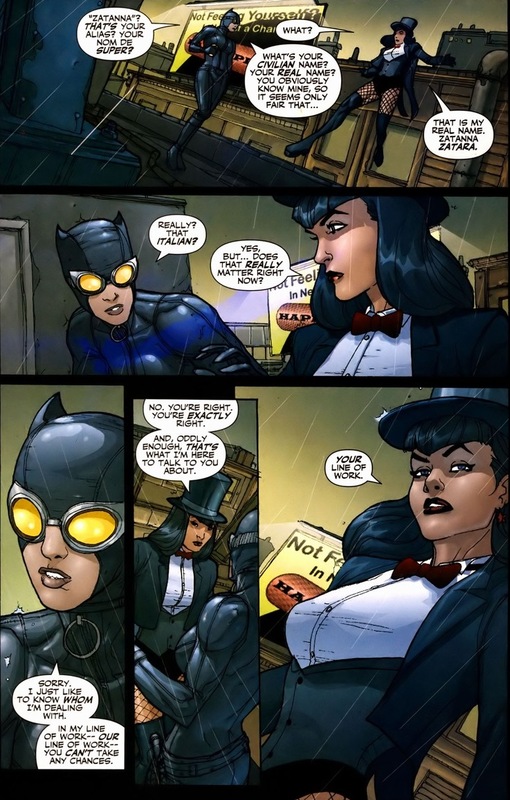 As we wrap up today and head towards our conclusion next time, Zatanna unknowingly permanently linkes herself to Catwoman — and what follows brings both of them to frustrating and exhaustive depths. Women fight so much dirtier than men do. I was under the impression Superman did know about the Mindwiping that was happening but turned a blind eye to it, Identity Crisis has a blurb regarding it. Hey that is one of those cat-tales stories i’ve read… it was a great read even though its just fan fiction. 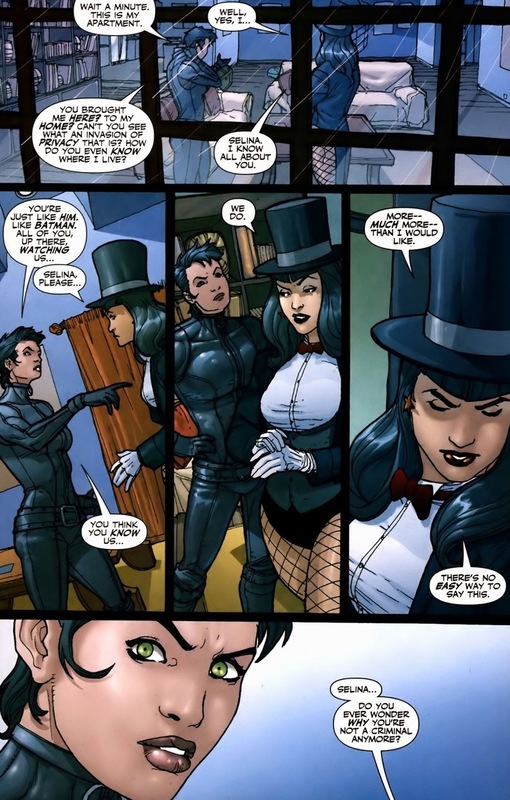 Well the essence of catwoman is freedom but since zatanna used her magic to change her, it was like she was being a prisoner in her own psyche. 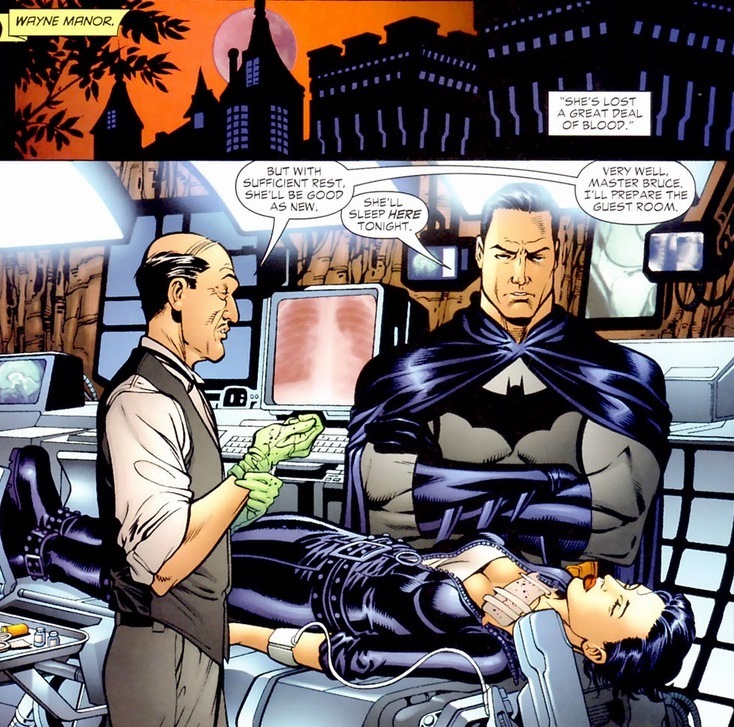 making an already emotionally unstable selina kyle worse. You’re absolutely right! It’s wonderfully poetic the way the shattering revelation presented itself. Plus, she’s even wackier around Batman now. Oh, lord, not Identity Crisis! Don’t get me started. Batman, who post-Crisis manipulates his closest allies & friends, gets pissed off when someone else turns the tables on him? Hypocrite. 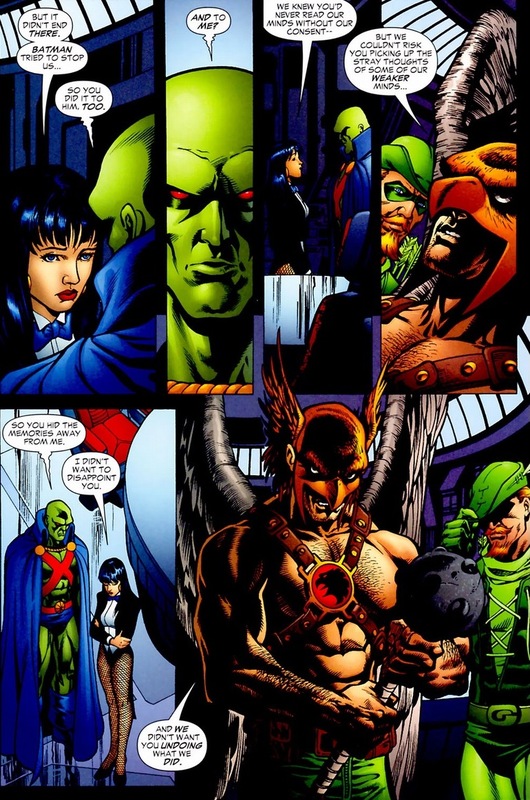 And I’d love to know what Batman’s solution would have been to the Secret Society knowing all of the Justice League’s most intimate information and secret identities. But, y’know, that’s just one of MANY problems I had with that mess of a miniseries. Its a Batman thing. Hes faced enough people who know his identity in his time and been lucky enough that those villains choose to make him the target over his family and friends (pre new 52 of course). His code and world view doesn’t really accept that, in the same way that taking them to Arkham everytime he catches a new supervillain doesn’t really work either. Plus, part of the manipulation and Brother Eye is due to Identity Crisis. Thankfully he got better under that hands of Morrisson, but I think hes reverted to his normal brooding in the New 52 verse. This has always plagued me. Should heroes with the power to read and alter memories and minds be allowed to do so? Where is the line and where does it end?